I came to Dr. Bill with complaint of severe migraines. Being that I am now 26 years old and have suffered with migraines since I was about 8 years old, Dr. Bill calculated that I had taken over 50,000 pills to temporarily relieve the migraines. After just one visit, I saw a miracle. My migraines went from more than 5 times a week, to only 2-3 times a week. To me, chiropractic care was not only a temporary remedy but an extreme relief for me. Then as I continued chiropractic care, my migraines lessened and lessened. Now, I may get a migraine once a month. I am now 71/2 months pregnant and still continue my chiropractic care today. From sore hands (carpal tunnel) to my sore hips, Dr. Bill has created an adjustment system to help me during my pregnancy. I can honestly say that I was scared to continue my chiropractic care during my pregnancy but now, I recommend chiropractic care especially to pregnant women. I am very grateful to Dr. Bill for helping me get rid of my migraines, more than just temporarily. After my auto accident I came to see Dr. Battles because of whiplash. I was in pain with limited movement of my neck. After seven visits with the good Dr. Battles I am feeling much better and moving my neck more freely with less pain. When I first came in to see Dr. Bill, my lower back pain was so severe, only prescription painkillers could take care of it. I could hardly walk, sleep, or sit for short time. After a few months of Dr. Bill’s adjustments, I’m off of the painkillers completely and I’m able to do my chores and enjoy life a whole lot better. Thanks, Dr. Bill! When I first came in I had a lot of pain when I would lay in bed. I would have a lot of pain when I would lift my legs up. Now I am feeling much better. I have much more energy, ready to play ball now. Thank you for your hard work Dr. Battles. When I came to see Dr. Bill, I had blinding migraines so bad, that I had to get 2 shots from my MD at Kaiser. This was a once to twice a week thing! I couldn’t be around loud music or noisy areas, bright lights also affected me. Now, I still get headaches, however they are less severe. I still get blurred vision around bright lights, but I can attend concerts without medication! 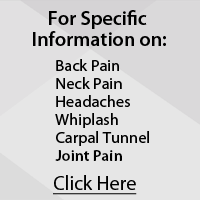 Dr. Bill has helped me very much and I recommend him to everyone! I have been seeing Dr. Battles but now I am moving from Maui. Dr. Battles is referring me to a colleague, I pray that my treatment continues on a good path. Moving is no small task, however I was able to do everything including packing by myself PAIN FREE. 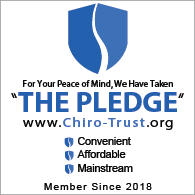 I have lost 55 pounds which I am sure is directly related to my chiropractic treatment as being pain free increased my attitude, self esteem, and sharpened my memory. I am so excited that I may have deterred osteoporosis and stiffness in my hands from arthritis is nonexistent. What a blessing. Thank you Dr. Battles and staff. I started with Dr. Battles about a month ago. I was having a lot of pain in my back and neck daily. After just a few weeks of chiropractic I feel a tremendous difference. I can weed all my garden, and I have absolutely no pain. Thanks Dr. Battles. My husband and I started coming to see Dr. Battles for three weeks and I started to see that my tremors in my left hand are almost gone. I went to see a neurologist and he called it benign tremors and wanted to put me on some medication for seizures and it would put me into a deep sleep and it made me very scared. So I refused to take the medication. I am so happy that we came to see Dr. Battles and get our body and spine in the correct placement so we can enjoy life once again. Now I can thread a needle again and hold up a piece of paper without it shaking. Thanks a lot Dr. Battles. P.S. I have suffered with these tremors for over 8 years. I was very excited to start chiropractic from the beginning. I was confident and felt that it would work. However I didn’t expect to feel such amazing results in such a short period of time. I have a long history of pain. I was diagnosed with fibromyalgia. I am seeing a pain specialist and after trying several medications without results I was put on narcotics. I am a substance abuse counselor and feel like a hypocrite and I had to take them because the pain throughout my body my body was so severe. After only 5 visits with Dr. Battles my pain is now tolerable and haven’t had to take my narcotics for 1 week now. My friends have commented and complemented me on my posture and my attitude. Not that I didn’t have a good attitude but my face was usually quenched with pain. I am so appreciative to Dr. Battles. It has made a big difference in my life already. Also, I see a big difference with my tremors. Doctors call that a familial disease. Thank you Dr. Battles. I’ve been with Dr. Battles for about a year and a half and I’ve gone from hardly walking to playing ball again. Days of constant pain in my back and legs are now gone. I’m stronger now playing softball, and boogie boarding pain free and enjoying life. Dr. Battles has helped me in so many ways since I’ve started. I’m living proof of what chiropractic care can do for you. If you are hesitant and unsure of what chiropractors can do, please give it a try. Believe me we don’t have to live with pain and discomfort for the rest of our lives. After years of pain and pills I’m now happy and pain free. I’ve been coming to see Dr. Bill for about 3 weeks now for my neck and lower back. Before coming I’ve had a lot of pain in my neck, shoulders and lower back. A lot of it has kept me from doing simple things like doing the dishes or laundry and also kept me from enjoying my time with my 3 yr. old daughter. Even though I have a lot more to go I know that the chiropractic care I’m getting is helping me. I’m able to sleep better at night, and I feel more energetic. Thanks Dr. Bill. When I first came to see Dr. Battles me lower back was really hurting and very much in pain. Since then my lower problems have been much better and as for my headaches I hardly have them. I feel much better and my sleep has been more relaxing. Thanks a lot Dr. Battles. When I was having problems with my wrist the doctors told me I had Carpal Tunnel because I worked with my hand a lot at work. The doctors recommended that I have corrective surgery to eliminate the pain. Because of a fear factor and other horror stories that other people told me due to their corrective surgery. I decided not to go through with it. However when I mentioned this to Doctor Battles he mentioned subluxation. The pain seems to have gone away and I still operate my hands and arms in the same manner at work. I was diagnosed with severe arthritis in my lower back region and was told by my regular doctor that there was nothing that can be done for arthritis. I then came across chiropractic care by chance. Donating items to the Kid’s Day America Program put me in touch with Dr. Battles. Now I feel like a million bucks. Some people still try to convince me that it’s the placebo effect. As a power lifter I know that it’s because of the chiropractic care that me and my son received. It has made our lives both healthier and happier. I feel better as a whole. I have more energy and I’m sleeping better and some days take a short nap for about ten to fifteen minutes. The hip pain has not been back. I had an accident when I was 10 years old and ever since it happened, I’ve experienced neck pain for 28 years. I started to think that the pain was a way of life, from my teens to adulthood my neck pain got worse then one day I went to see Dr. Battles and he explained what procedures will be done. It was a little expensive but after 2 months I started to notice that I could turn my head without experiencing pain. It was a weird feeling to not constantly have pain in my neck. Now it’s been about 2 years since I first started treatment with Dr. Battles, and I must say that you can’t put a price on your health and I told my dad that I should start going to church because getting chiropractic care is one step short of a miracle.